Overlay Paving: If It Isn’t Broke, Don’t Fix It! How many times have you found yourself staring out at your garden path, or your walkways, and winced at the state of repair they’re in? There may be divots in the stone, it’s dingy, or it’s just plain ugly. You can remember how sleek and smooth it looked when it was new, but those days are long behind you. You know you should replace it, but that would cost a shiny penny. And there’s nothing wrong with it when it comes down to the foundation: it’s just the surface that’s become unsightly. Many schools today are embracing swimming pools as a great way to get aerobic exercise. In fact, a lot of schools are forming swim teams and competing in regular swim meets. The schools have done a tremendous job in keeping pools safe, but accidents do still happen. As it turns out, a substantial percentage of these accidents occur outside of the school pool. Porous paving is not a new invention by any stretch of the imagination. However, it is seeing surging popularity that doesn’t look to be slowing any time soon, according to Belgard. But why are more homeowners (and even business owners and landscapers) seeking more porous paving options now, when they’ve always been around? Well, we have listed some of those reasons below. Nothing is as uplifting and motivating for students and staff alike, as a safe, appealing, and nature-friendly environment at school. 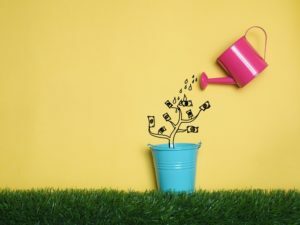 Whether students are in primary-school, high-school, or beyond, students want to feel confident while playing or walking around their learning institutions. Surrounding students with an environmentally friendly setting can even enhance their interest and understanding of environmental issues. Paving is a great way to enhance your exterior living spaces. However, if not sufficiently porous, these landscaping features often cause drainage complications in major towns and cities. 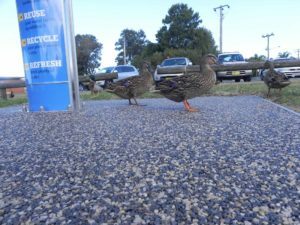 The environmental impact of building non-porous paving is dire, and it is why various councils all over Australia emphasise Water Sensitive Urban Design (WSUD). Water scarcity is an ongoing, global problem that is predicted to affect two-thirds of the world’s population by 2025. While we do our part in conserving water by taking shorter showers or adjusting the sprinkler system, we don’t often think about our driveways. But impervious pavements all throughout our urban areas are a major factor in worsening water scarcity. Have you ever stepped outside to get the mail, or let your dog out in the summer? Remember that instant feeling of discomfort when your foot touched the concrete that had been sitting in the hot sun all day? What if that didn’t have to happen? If, even on hot, sunny days you could walk down your front path in bare feet, or relax on your patio, without worrying about slipping on a pair of shoes before you stepped outside? In the past, using “green” construction methods or materials meant tacking money onto your budget. Because, while these solutions were undeniably safer for the environment, they often required more time, more effort, and more work, which made them more expensive. However, green construction is growing in popularity these days. The reason why is simple – they’re good for the environment, and becoming more and more affordable. Porous paving is one of the most obvious examples of a green solution that doesn’t hurt your bottom line. The paving itself is comparable to traditional concrete, with no immediate increase in costs. However, because porous paving allows water to drain through it, it also means there’s no need to build additional ditches, gutters, or spillways to transport that water. Porous paving prevents chemical runoff, as well, and it does this job passively. Perhaps best of all, though, porous paving can be recycled when it reaches the end of its life. That’s why so many companies are looking into installing porous paving solutions for their car parks, their sidewalks, and in many cases, their roads. Because this paving adds no extra costs, benefits the environment, and eliminates additional construction requirements that would be necessary with more traditional paving solutions. If you’d like to know more about the green paving solutions available today, all you have to do is contact us. We are the experts in porous paving, and we can explain exactly what it can do for your project. You could be asking yourself “Do I require planning permission if I want to pave my driveway or garden?” Don’t worry; you are not alone. Council requirements in Australia can be hard to understand. It’s no secret that there has been a recent trend in preference given to sustainable, environmentally friendly, and conscientious options for near everything from all facets of life. In a recent survey, this trend was highlighted further, showing the expected consumer demand for such products: 83.3% are predicted to want native plants, 80% low-maintenance landscapes, and 74% are likely to prioritise permeable paving. With the growing awareness of the impact humans have on our planet, this should come as no surprise: people are realizing that we all should do our part in keeping the planet healthy and unharmed.